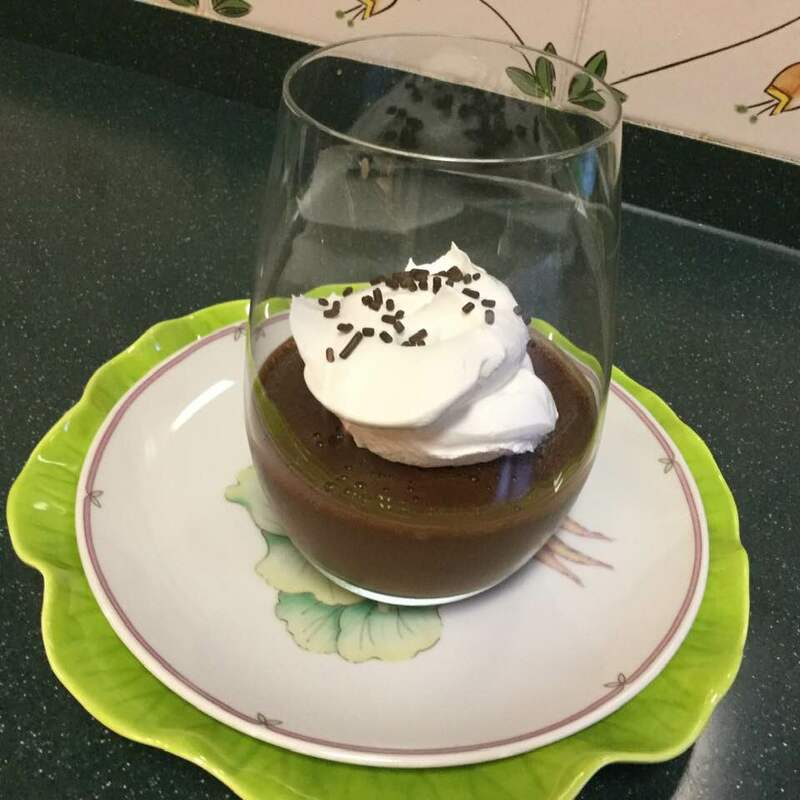 Decadent Pots de Creme - Geaux Ask Alice! 1. In a food processor or blender, place the chocolate chips. 2. Crack eggs and add to processor. 3. Add vanilla, salt and brandy. 4. Pulse until chips are mostly pulverized. 5. Turn on the processor and drizzle the hot coffee in a steady stream. The heat from the coffee will melt the chocolate. Process until smooth. 7. Cover with saran wrap and place in refrigerator 4-6 hours or overnight. 8. Remove wrap and gently place a nice dollop of the Cool Whip in the middle. 9. Sprinkle with chocolate chips or shavings. You can make your own topping if desired. 1. Add heavy cream and sugar to a bowl and beat with electric mixer until it forms soft peaks. 2. Add the brand and mix in. 3. Us this instead of the Cool Whip if desired.